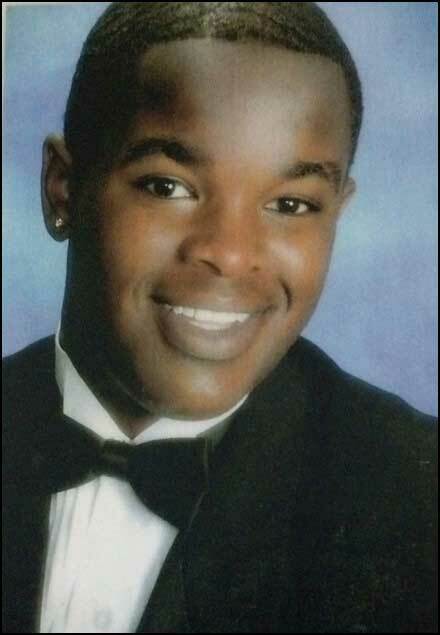 My 23-year-old son, Christopher Bryan DeShields, was a great young man. He suffered from schizophrenia and depression and lived in Raleigh, NC but would come down to Charlotte, NC, on the weekends to spend time with me. His favorite method of transportation was the Amtrak train. I still go up to the train station sometimes just to sit and wonder what it would be like if my son could get off of the train he normally rode. But in fact, he wasn’t. My son had attempted suicide before but he did not complete it. He and I talked about his suicide attempt at length and he promised me he would never try to do that again. It is so ironic, the day that he died by suicide in 2013 is the same day my dad passed away back in 1982. December 27 is not a good day for me at all. I can’t really say for sure what factors lead to his decision to kill himself. I know he had recently come from a stay at the mental hospital and that he and the young lady he really liked had stopped seeing each other. He took it very hard when she told him she did not want to see him anymore. She learned through social media he had been to the mental hospital. When I tell people my son died by suicide, people often look at me and say “but you are African-American.” My response to that is that suicide has no color boundary. Mental depression is something that is not talked about in the African-American community. It is definitely something that needs to be addressed and discussed more openly. I am still struggling every day to come to grips with losing my son. It still feels like a dream and that I am waiting to wake up. I have been to grief counseling therapy and a suicide support group. Nothing seems to help. The only thing that I do find that seems to help is praying to the good Lord above. I ask them to help me cope every day with what I have to go through. I would not wish this pain on anyone. Thank you for sharing some of the story of your son Christopher. Mental health needs, especially in the African-American community, are vastly underestimated and mostly unmet. I know this too well because my brother, Ryan, died by suicide in February 2014 after years of suffering and seeking help that was simply not available. I think of him every single day as I’m sure you do too about Christopher. May God grant you and your family comfort and peace that surpasses all understanding in this present time of grief, but also in each day after until your souls can be reunited again. You are so right. Sometimes that is all you can to in giving it to God. I had to do the same with my best friend. Lots of love to you! Thank you sir, for sharing about what is undoubtedly, the most painful event of your lifetime. May your beautiful son’s memory always be a blessing to you and your family. What a beautiful son. Our stories are similar Raymond. My son’s first name was Christopher, he had just suffered a breakup, and he died on December 20; his funeral was December 27. They died almost exactly a year apart, and they were beautiful young men. So glad this Dad had ur forum to share his feelings …keep doing what ya doing ANMR!!! Thank you for sharing your heartbreaking story Raymond. I am praying you find comfort and support in the days ahead. Christopher was obviously loved much and will be dearly missed. Your son was a beautiful, handsome young man. I’m so very sorry that you and your family live daily with this great loss. Thank you for sharing with us. I am so sorry for your loss! Thank you for your courage in sharing with us. Thank you Raymond for Sharing Christopher’s story. A Dad I met in NJ after I lost my son Garrett told me that when our boys died, we died. We will never be the same and it will take time to figure out who we are now. I lost Garrett in Feb of 2017. I like you pray every day, my drive and prayer is that with my daughter by my side, Garrett in my heart, and God leading the way, something good has to come from this. Life has a whole new meaning where joy and happiness are Foreign concepts. It is so important that all parents of any race or religion do not fall into the concept of “Not my child”. Thank you for speaking out and honoring Christipher. Thank you Don for sharing that. We hear so little from men and there is a misconception that men are stronger so they don’t grieve. But that’s so ridiculous. For you to feel less grief, you would have had to have loved your son less. And I know that’s not the case. Thank You Anne and thank You for your tireless dedication to raise awareness. I agree, some of the strongest men I have met in the last 19 months are the Dads that have lost a child and are willing to speak out. So glad Raymond shared his story.